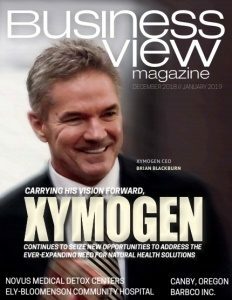 Business View Magazine reports on the Alexandria International Airport & England Airpark, as part of our series on U.S. regional airports. 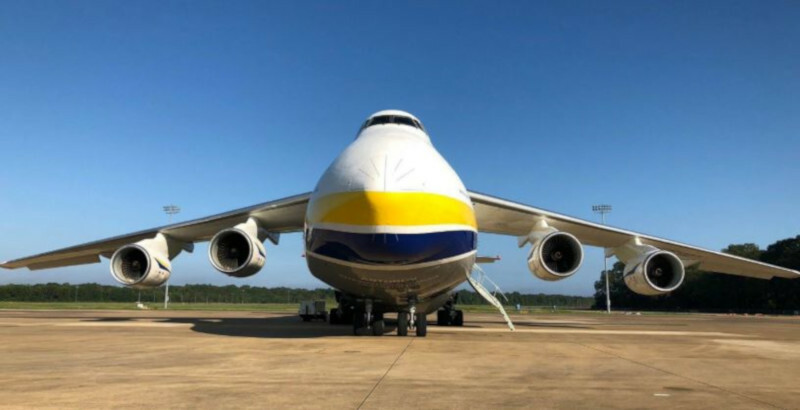 Alexandria International Airport (AEX) is a public use airport located five miles west of the central business district of Alexandria, in Rapides Parish, Louisiana. The Airport traces its beginnings back to 1939, when it served as an emergency airstrip for Esler Regional Airport, which was about 10 miles northeast of what would become AEX. However, on the eve of World War II, the airstrip was taken over by the Department of Defense and named Alexandria Army Air Base, used for training pilots and aircrews of fighter and bomber airplanes of the Army Air Force. After World War II ended, the base was placed on standby status and, eventually, turned over to the city of Alexandria for use as a municipal airport. With the outbreak of hostilities in Korea, however, the base was reactivated as Alexandria Air Force Base in 1950. On June 23, 1955, Alexandria Army Air Base was renamed England Air Force Base (EAF) in honor of Lieutenant Colonel John Brooke England, a much-decorated combat pilot, who died on November 17, 1954. As an active military installation, England AFB employed 3,000 military and 681 civilian personnel. At the end of the Cold War, the United States Department of Defense decided to close many of its military bases under the Defense Base Closure and Realignment Commission (BRAC), to which EAF ultimately fell victim in 1992. The City of Alexandria feared that the economic impact of the airfield closing would devastate the local economy to the tune of $100 million a year, so it created the England Economic and Industrial Development District (England Authority) to take over the base for the purpose of creating a major air transport resource for the region and the state. 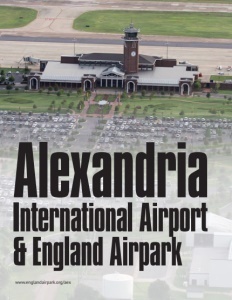 In August 1993, Alexandria International Airport (AEX) opened for service. In August 1996, it began to receive commercial airline passenger service with flights to and from Atlanta, Dallas/Ft. Worth, Houston, and Memphis, although service to Memphis was subsequently discontinued. Today, the Airport is served by American, United, and Delta Airlines with connections to those three cities; all three operate either Canadair or Embraer regional jet aircraft. Foreign airlines include KLM, Korean Air, Copa, Air France, and Virgin Atlantic. Since the September 11th terrorist attacks, the Airport has also played an important role in moving thousands of military personnel and millions of pounds of cargo in support of the wars in Iraq and Afghanistan. The United States military, under a commercial lease with the England Authority, invested nearly $60 million in airfield facilities, including hazardous cargo loading/unloading aprons, a military passenger processing facility, a military air cargo apron, and runway resurfacing. Alexandria International Airport has two runways: 14/32 is 9,352 by 150 feet with a concrete surface; 18/36 is 7,001 by 150 feet with an asphalt and concrete surface. AEX sees 50,000 air operations per year; a little over one third of its air traffic is military; another third is general aviation; the rest is air taxi and scheduled commercial. Its aviation-centric activities support over 1,300 jobs, with an economic impact of over $144 million to the region. AEX also proved its value as a disaster relief staging and support area in the wake of Hurricanes Katrina, Rita, and Gustav. 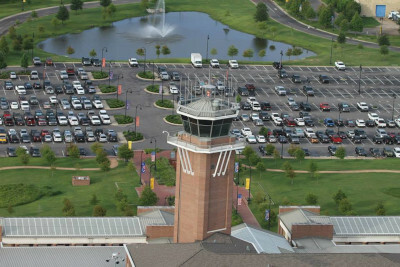 Today, AEX is part of the greater England Airpark, which, since the closure of England AFB, has been repurposed into a multimodal transportation and commerce center, and residential community. Located onsite is the Airport, 60 businesses employing 2,000 persons, over 300 occupied housing units, 1.1 million-sq.-ft. of leased space, its own fire department, an 18-hole golf course, a hotel and restaurant, and a community center (whose 1940’s building is about to get demolished and replaced by a new, $3.9 million facility). England Airpark is also home to Heritage Park, known as one of the most impressive displays of U.S. military aircraft in the nation. Among them are a: Boeing B-17 Flying Fortress, P-51 Mustang, A-10A Thunderbolt II (the “Warthog”), F-84F Thunderstreak, F-86 Sabre, North American F-86 Sabre, North American F-100D Super Sabre, Republic F-105G Thunderchief, and LTV A-7D Corsair II.